I Just wanted to put a few thoughts out there on the Subject of Goblins. Goblins and Orcs are of course one in the same thing, The word Goblin is the Dwarvish name for orc. 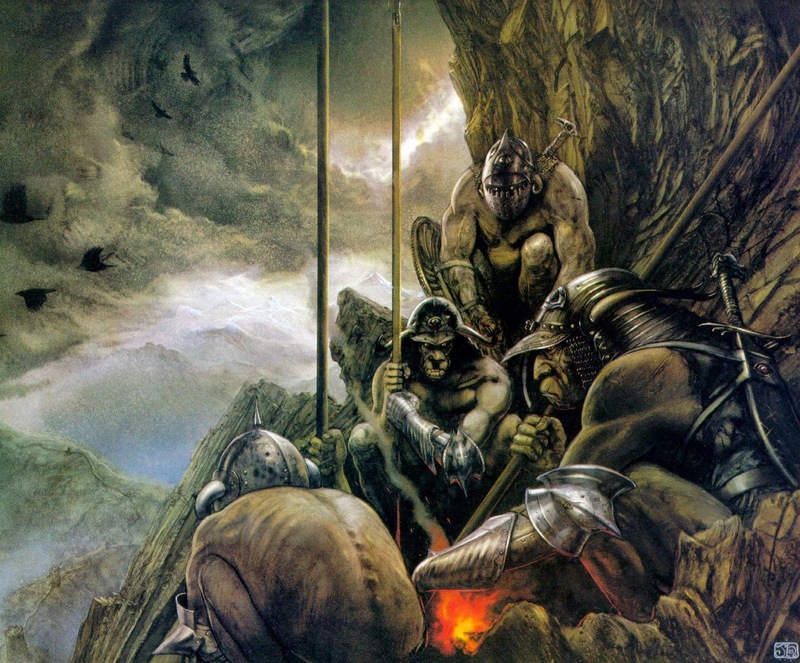 The Name Orc in fact is an Old English word meaning Foreigner. In 1066 when the Normans invaded England the English called the Normans Orc's. We get our view of Goblins from the other side of the scale, the tellers of the story are the guys who don't like Goblins. The Goblins are an organised race not savages, they have a Monarchy based on Hereditary lines of rule. A study of the best material, basically the Hobbit and LOTR shows the Goblins of the misty mountains have a complex social system.